Pear3DEngine is a modern and modular 3D development framework that lets you create professional games, simulations and more. You are free to develop your program in C++, XML or LUA and publish it as open source software or selling it as a commercial program. The rendering engine uses internally OpenGL or DirectX optionally. The planned editor supports software development on Linux, Windows and maybe MacOS X. DirectX 9 and Windows XP are not supported and support is not planned in the future. One goal of the Pear3DEngine Framework is to use the latest and most promising algorithms and techniques from the 3D and IT scene. This is the description of the engine that you can find on SourceForge. But why a new engine? Are there not enough in the world? Of course, the engine is open source. But is this a right to exist?There are already Ogre, Irrlicht, Crystal Space, Lightfeather and many more. And now another? 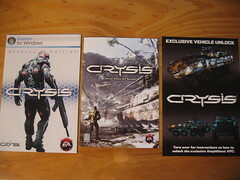 One of my main idols was the then-new CryEngine 3 from Crytek. The engine could do everything, at least I thought it. I quickly realized that such an engine had more than little graphic attachments. Nevertheless, I did not want to give up. My C++ skills are strong, at least I think it is :), and I wanted to try something new. So I kept going. The first design was made. Then again changed. New classes were added, and some disappeared. Many gave me a headache and some brought me to the edge of despair. But now I am where I am. No turning back! Again and again I looked up to the big brothers Ogre, Irrlicht, etc. Trying to find new ways of doing. Features and other, which should become one! This is a list of some features that the engine will support. Many have not even started, but they will come! The engine will also get its own GUI, an editor, like the editor in the CryEngine 3, and a separate shader language. The development of the own shader language has already begun, more about this in a separate blog entry later. The design of the Pear3DEngine framework is modular, like the Qt SDK from Nokia. Much is divided into separate libraries, thereby avoiding the risk of inter-dependencies and make the engine easy to expand. Yes, the engine has its raison d’être. It is my idea of a world of libraries, made to create games and simulations. If there is Ogre, why not a Pear3DEngine?